The increase in the number of water-borne diseases has made us take measures to ensure that the water we drink is pure and germs free. The market is always flooded with water purifiers that claim to provide the germs free and pure water, however it is always importance to have a small research before you consider buying them. What are those small researches to be considered? 1. Water Quality – It is the first and foremost thing to consider. If you are a living in an area where heavily saline and hard water is supplies, then it is better to use some RO water purifier. 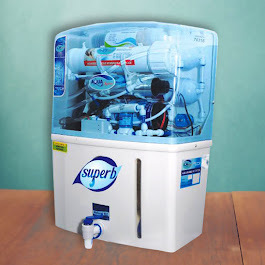 Superb RO water purifiers are new and popular due to their effective cleaning and purification. Their membrane can kill and remove extremely small impurities and also helps the water clean from any chemical flavor. 2. Electricity Consumption – Though RO water purifiers are the best and most effective ones, yet one of the biggest problems with them is that they require electrical power supply. This means you can use them only if you do not face inconsistent power supply problems. Now days, most of the purifiers work only on electricity. 3. Storage – If you are impatient and want your bottle or container get filled instantly then choose water purifier that has high storage capacity and also power cut options. A number of water filters are available in the market that have high capacity and quick functionality like Superb RO Water Purifier. You can check features before buying it. 4. Water Pressure – Any water purifier required water supply to the system to work. If you are the one who faces irregular water supply or slow water pressure, then RO and UV water purifiers won’t work for you. If your incoming water flow is of very low pressure then carbon purifier might work optimally. You can also attach a pump to increase or boost the water pressure to your filter. It is not costly and can work for you. 5. Contamination Level – If your area gets highly contaminated water or has higher TDS then it is better to go for an RO based water purifier. Otherwise you can standard UV purifiers. Usually the water form lakes or rainwater or similar sources had a lower TDS concentration. However, if the water is drawn from bore wells or supplied by tankers then it will contain higher TDS and harmful chemicals as well. 6. Budget – Budget is necessary to be decided before starting your search for purifier. Though water purifiers are long term investments, it is better to not get driven by the prices and choose something that is long lasting. After all, you won’t be changing it seasonally and if cheap water purifier doesn’t purifies well, then what’s the benefit of having one! Very interesting information share. Purchasing good quality of Water Purifier Ro System from Hi-tech. I like this blog and I bookmarked it. 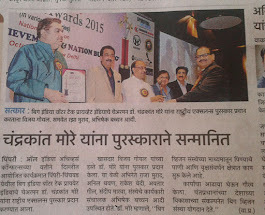 Very good & you are service also good.